Could Broadband Internet Access Be The Key To Economic Recovery? Home Hardware Tech Could Broadband Internet Access Be The Key To Economic Recovery? Many Americans are stressing about the current state of the economy. Many of us, especially minority communities have felt the effects, with up to sixteen percent unemployment in the Hispanic and African American communities. A lot of people are saying that the key to economic recovery for all Americans lies in the ensuring that broadband is available to everyone. You may wonder why broadband is creating so much buzz as an economic solution. It’s because broadband is one industry which, when leveraged from every angle can get more people online, thereby shrinking the digital divide, creating more jobs and ultimately providing the stimulation that the economy needs. Although slower connections may seem more affordable and do allow for the checking of email and other limited activities, they can essentially do more harm than good. 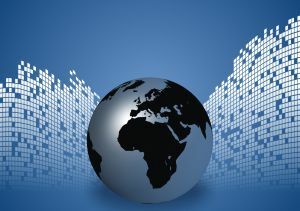 This is because most of the online activities associated with economic recovery are dependent on a high speed internet connection. Those with high speed access have the opportunity to take advantage of recommended resources that may contain streaming audio, video or high-quality graphics that slower connection simply cannot handle. This means that students have access to a wider range of resources, and take advantage of online help from teachers and tutors. Where health is concerned, making high speed broadband access available to as many people as possible can actually relieve some of the pressure on the economy. This is because with the ability to research conditions and access treatment information online, fewer individuals end up unnecessarily in an emergency room or doctor’s office. In unemployment situations, using high speed broadband can mean that an individual is able to access a wide range of employment resources without straining their own finances in the form of car insurance gas or transportation until the time comes to travel to an interview. Having high speed broadband can also be seen as a positive requirement in cases where telecommuting employment has been applied for. Among the many statistics surrounding broadband availability and adoption are the numbers as far as home-based businesses are concerned. Although two out of three home-based businesses communicate with their customers online and almost sixty percent of them advertise online, upgrading to a better speed is a challenge. An estimated 73,000 home-based businesses in the United States do want or need to upgrade their broadband connection, but don’t do so due to the fact that no faster alternatives are available to them. Of course, home-based businesses aren’t the only ones who need access to higher speed connections. Access at all levels is needed. But how to implement this higher speed access for all Americans is the challenge. Does or should the government have a role in how and where broadband is implemented? Many say yes, that government has the responsibility of not only looking at telecommunications policies, but also controlling taxation and policies which may be biased against the widespread implementation and use of broadband internet. But in addition to governments, the onus, some say should also be on the private sector due to the fact that their current business model whereby service providers are relied upon to deliver the infrastructure without promise of growth in revenue is simply not sustainable. This fact is recognized in the NBP, or National Broadband Plan. Developed by the FCC, the NBP’s incredible potential can only be fully realized if the private sector invests significant money in both the equipment and infrastructure which supports them. And finally, many are of the opinion that education about broadband must continue. There remain many areas where residents simply do not place a value on knowing how to use the internet or understand its many benefits. The more people who understand how the internet can benefit them, the more they will begin to integrate it into their daily lives via banking, employment and health resource searching, and the sooner the economy can rebound.